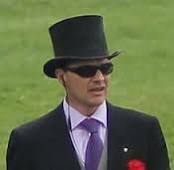 for Aidan O'Brien is one of those horse trainers 2011 whose string was certainly one to savour. Had just two outings as a 2yo, winning her debut race at Fairyhouse over 7f, soft in September. She followed this with a good 2nd to Havant at Newmarket in October and then resumed her campaign at the Curragh in May with an eased down 6th in the Starspangledbanner European Breeders Fund Athasi Stakes (Group 3) (Fillies & Mares). The conditions of good to firm were probably against her as she appears to prefer a bit of cut in the ground and there should be more to come when the ground is right. Her pedigree is interesting as the first foal of a 1m Group winner and a sister to 2000 Guineas winner Henrythenavigator. Won 2 Group 1's as a 2yo in France but obviously needed the run when trailing home a lacklustre 11th in the Qipco 1000 Guineas (Group 1) (Fillies) at Newmarket in May 2011. Highly regarded by her trainer and winner of half her races she is sure to win more this season and should be followed. Had solid juvenile form winning 2 of eight races and performed respectably when coming 5th in the Breeders Cup at the end of a long campaign. She appeared not to get home in the 12f £250,000 Tattersalls Millions 3-Y-O Trophy but showed a much improved performance returned to 1m when 2nd to Blue Bunting in the Qipco 1000 Guineas (Group 1) (Fillies) - as one of the top flat horse trainers, Aidan O'Brien should bring out even further improvement. A son of Galileo, and one of a brilliant 2010 crop which included the wonder horse that is Frankel, he proved himself a class act when runner up to that horse in the Newmarket Classic trial and then going on to win the Group 1 Criterium International at Saint-Cloud. His return when coming in a disappointing 11th in the 2011 renewal of the 2000 Guineas came without a previous run and the firm ground was against him. This was not his running. Won his 2nd race at Tipperary over 7f and was far from disgraced when 2nd to Casamento when stepping up to 1m in the Racing Post Trophy (Group 1) (Entire Colts & Fillies. His pedigree suggests that 1m 4f would be in range and has strong claims if aimed at the Epsom Derby in June. Lived up to her name when comfortably winning the Weatherbys Bank Cheshire Oaks (for the Robert Sangster Memorial Cup) (Listed Race) (Fillies) at Chester in May 2011. Although not blessed with a great deal of speed her jockey Ryan Moore said she was well balanced and handled the tight left hand track with aplomb. The winning of this Oaks trial could well set her up nicely for the Epsom race itself.